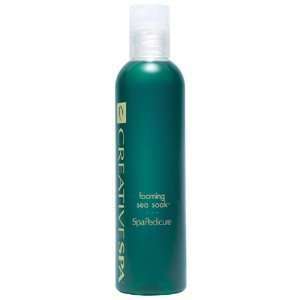 CND SpaPedicure Foaming Sea Soak available in 2 oz. and 8 oz. sizes. It's a concentrated seaweed foot soak with a fresh fragrance and a light foam that cleanses and hydrates feet, leaving them feeling soft.